Air India, the country’s struggling and debt-ridden national carrier will soon pass off to private players. Will the ride to privatisation take off? 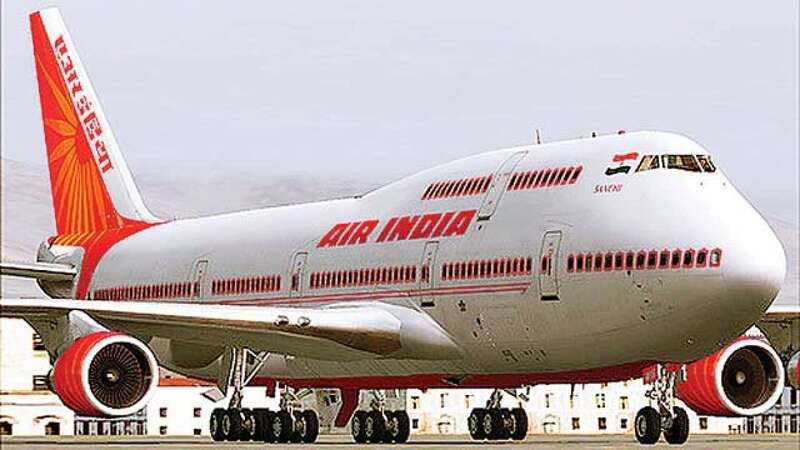 The Indian government has approved the sale of majority stake in the state-run Air India, on March 28. Global consulting and managing major-Ernst & Young LLP India (EY) has been appointed as government transaction advisor to advise and manage the proposed strategic disinvestment of the national carrier, Air India (AI). This will be done by way of transfer of management control and sale of 76 percent equity share capital of the airlines held by the Government. The decision involves sale of 100 per cent of its low-cost international carrier Air India Express Ltd, and a 50 per cent stake in Air India SATS Airport Services Pvt. Ltd, an airport ground-handling joint venture. Out of the 24 per cent stake the Government will be left with in Air India; it will offer employee stock options to the airline’s employees. However, the sale is subject to the condition that its control rests with Indian entities and the brand name Air India is retained. The national carrier will be bundled with two-thirds of the carrier’s $7.8billion debt. Prior to the sale, Air India’s other arms such as Air India Engineering Services, Air India Air Transport Services, Airline Allied Services and Hotel Corporation of India will be transferred to another holding company. The final bids are to be invited on May 14 and the government intends to privatise the operation by December 2018. Assets: what will buyers get? Air India has network coverage of about 93 destinations—around 54 domestic with approx. 2,330 departures per week and around 39 international with approx. 766 departures per week. It offers 51 additional destinations through its secondary network of code-share operations covered under 19 code-share agreements with foreign carriers. Air India had an operating fleet of 115 aircraft as on 31 December 2017, mainly comprising Airbus and Boeing—A-319, A-320, A-321, B-747, B-777 and B-787. 69 of these are owned / on finance lease, 24 are on the sale and lease-back model, while the remaining are on operating lease. Liabilities: Significantly the offer also includes $5.1 billion of debt that the buyer will have to take over with the balance going to the government. Why privatise Air India? Over the last decade, since the merger of Air India and Indian Airlines, the former has stacked up a massive debt. It has been surviving on bailout funded by taxpayers. According to the minister of state for civil aviation Jayant Sinha, the state-owned carrier registered a loss of Rs 57.65 billion in 2017, Rs 19.29 billion higher than the Rs 38.36 billion loss in 2016. Possible contenders? According to media reports during the last few months, India’s largest domestic carrier, Indigo, run by InterGlobe Aviation Ltd and Tata Sons Ltd, has expressed interest to acquire a controlling stake in Air India, although only in its global operations. According to media reports, France–KLM and Delta Air Lines Inc. may join the fray along with Naresh Goyal-led Jet Airways (India) Ltd, and Qatar Airways Ltd as potential suitors for Air India’s airline business. Turkey’s Celebi Aviation Holding, Bird Group, Menzies Aviation Plc and Livewel Aviation Services Pvt. Ltd are interested in acquiring the national carrier’s subsidiaries. Is it lucrative? It is a bold step considering that the Modi government is in the last year of its five-year term. Also, the deal is surely a mammoth task for an enormous airline, such as Air India. Another question is whether the foreign buyers bite the bullet? Kapil Kaul, CEO &director at CAPA South Asia said he sees ‘significant investor interest’ in the Air India sale process. However, he flagged two concerns: the debt pile and the fact that meeting the December 2018 deadline for completing the disinvestment may be ‘challenging’. The Government will retain a 24 per cent stake in the airline. According to Jayant Sinha, the minister of state for civil aviation, the new owners will be free of any government interference. The winning bidder will have total control and freedom to “…operate the company in a way that will maximise revenues, profitability and value creation,” Sinha asserted in an interview to a private TV channel. However, with the decision to retain 24 per cent in the airline business, the Government has reduced the bid value. As the Government may not have a seat in the Air India board, can it assure bidders of non-interference? The national carrier has been treated as a personal fiefdom by political masters and bureaucrats for their vested interests. This is not the first attempt to disinvest the national carrier. The previous Atal Bihari Vajpayee-led NDA regime during 1998–2004, had seriously attempted company-level privatisation — “strategic disinvestment”—including the sale of two airlines-Indian Airlines and Air India. Due to lack of credible offers, the proposal fell through. It is to be seen whether the Maharaja will get a prospective suitor or not! Only time will tell.